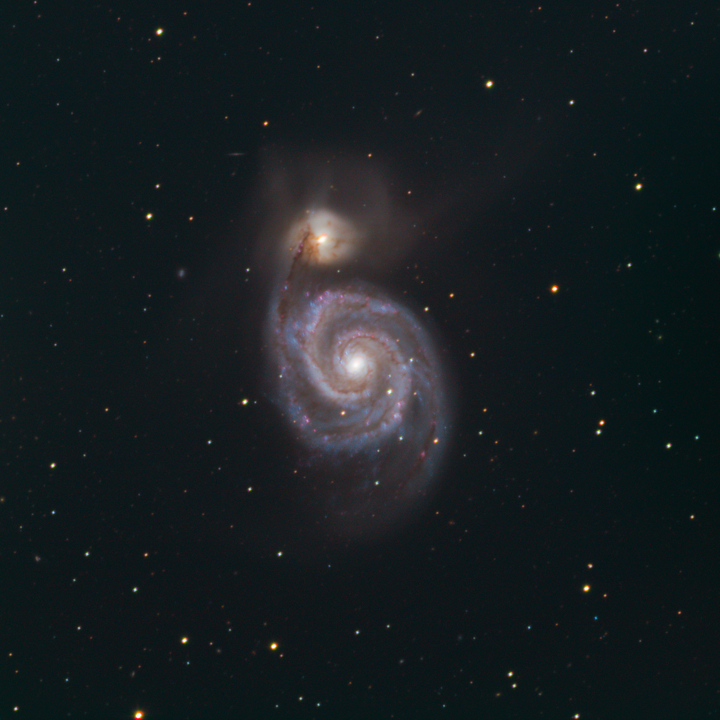 M51, or the Whirlpool Galaxy, is a spiral galaxy in the constellation Canes Venatici. It is about 23 million light years away, and has a smaller companion galaxy nearby. Astronomers use it to learn more about our own galaxy.